Lisa loves John: Banana Bread, nom om om! Nothing, and I mean nothing, is better than freshly-baked banana bread. 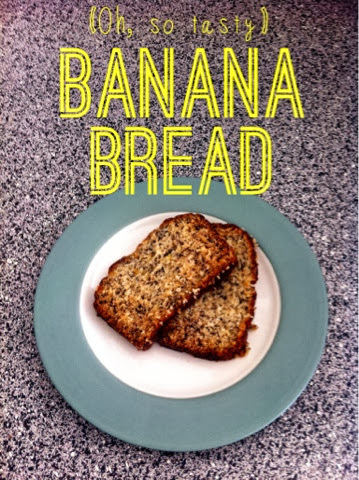 I mean, really... who doesn't love banana bread? I can happily eat it for breakfast, lunch, dinner, a snack... Anytime! I like my banana bread without nuts, but go ahead and add a 1/4 cup of chopped walnuts or chocolate chips to mix it up! (One time I added mini Reese's Peanut Butter Cups... oh so good, but I ate the whole loaf (over ice cream...) in one episode of Real Housewives of Orange County - not interested in doing that again). 1. Mash bananas and melt butter, then mix both together in a large mixing bowl. 3. Sprinkle the baking soda and salt over the mixture and mix. 4. Mix in the flour. 5. 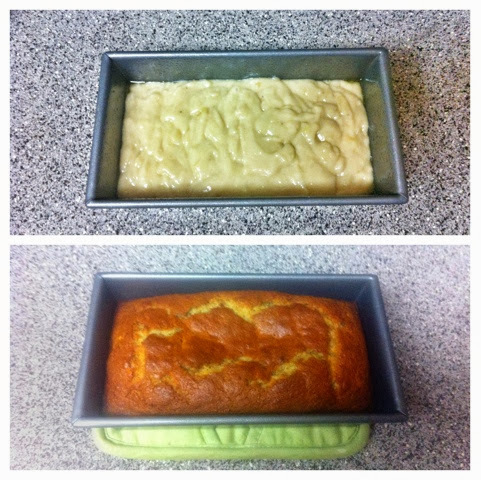 Pour mixture into a greased 4x8 inch loaf pan, and bake for 45 min - 1 hour at 350 degrees. When the bread is done baking, let it cool before storing. Enjoy your yummy treat!